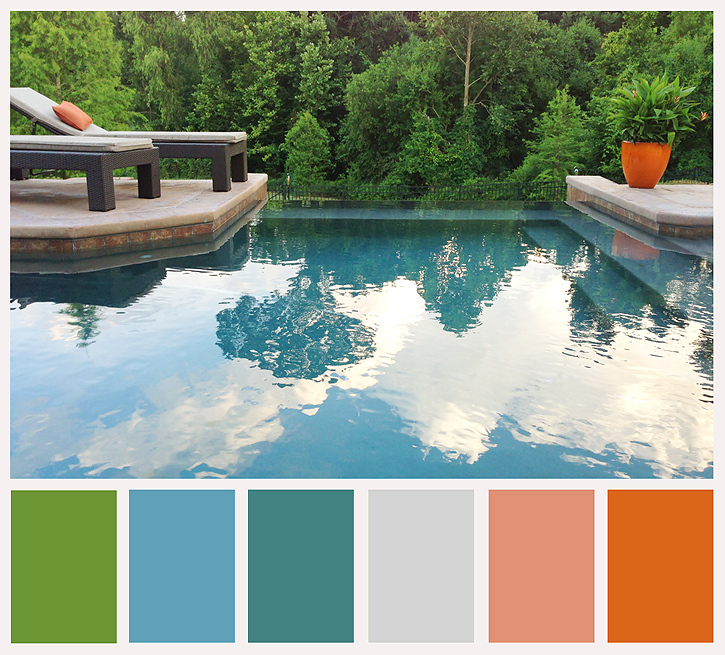 When it comes to colors, the blues of the pool and greens of the leaves are some of my long-time favorites, but right now I'm loving anything in the orange, salmon, and peach family. The pillow and the pottery provide the perfect pop of color in this gorgeous scene... love how all these colors work together! Love it! I would dive right in. Terrific image Deb. Great color palette! I love greens, reds, and oranges. Blues to wear but not in my home.